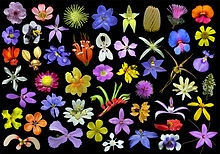 In the United Kingdom, the organisation Plantlife International instituted the "County Flowers scheme" in 2002, for which members of the public nominated and voted for a wild flower emblem for their county. The aim was to spread awareness of the heritage of native species and about the need for conservation, as some of these species are endangered. 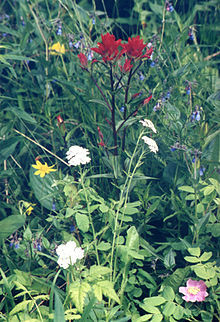 For example, Somerset has adopted the Cheddar Pink ( Dianthus gratianopolitanus), London the Rosebay Willowherb (Chamerion angustifolium) and Denbighshire/Sir Ddinbych in Wales the rare Limestone Woundwort ( Stachys alpina).